The Reid School building (south side and front entrance). West entrance and courtyard of Reid School. 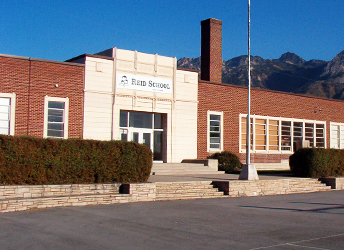 The Reid School began September 1, 1987, in Salt Lake City, Utah, as a response to requests of parents whose children were in a Preschool sponsored by the Exemplary Center for Reading Instruction (ECRI) and the University of Utah’s Division of Continuing Education. 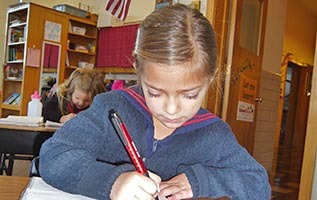 The first year the school registered students from preschool through third grade. It now has an Early Preschool or Parent-Infant Program as well as the Preschool Program, a Kindergarten through Fifth Grade Elementary School, and a Middle School Sixth through Ninth Grade. The faculty’s original philosophy that all students can learn well if they are given: (1) quality instruction, (2) adequate time, and (3) sufficient practice remains strongly in place. 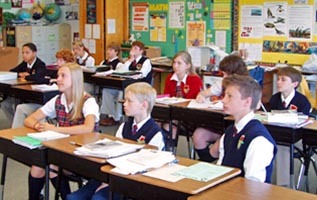 Therefore, instruction at Reid School is diversified with students grouped and re-grouped for various subjects. 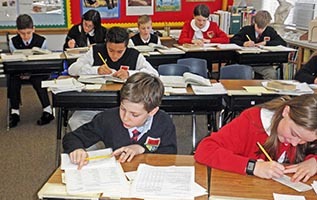 Advanced reading/English, mathematics and science classes are offered as students demonstrate mastery. 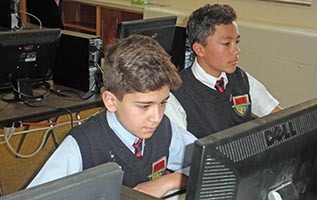 Specialists teach science, Spanish, Chinese, instrumental music, classical guitar, vocal music, literature, physical education, computer usage, library skills, fencing, art, single camera television and broadcast studio production. Reid School’s overall objective to provide instruction and motivation that enable all students to learn to speak, write, listen, read, and perform tasks successfully, has been achieved each year since the school opened. Students’ SAT scores have been the highest in the state, and student gains have been statistically significant in research studies. Regular education and gifted students at Reid School demonstrate significantly greater gains (p<.001) on the reading subscales of standardized achievement tests than (1) comparison group students receiving their reading instruction and (2) expectancies derived from national normative data. 16 large classrooms, 4 small-size classrooms used by specialists, library, auditorium, stage, multi-purpose room, gymnasium, instrumental music room, science lab, 2 computer labs, media room, 3 offices and reception area, a teacher work room and a large P.E. storage shed. 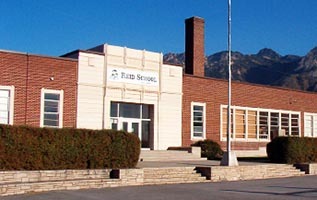 Platinum-Plus school with the Utah State Health Department because of its focus on fitness and nutrition. Quality school lunch program. © April 21, 2019; 12:43am MDT – All Rights Reserved.